Gary has been the Principal of QTC since the start of 2012. After studying chemistry in his home city of Belfast, Gary moved to Aberdeen in Scotland to study theology, before completing a D.Phil at Oxford on Deuteronomy. Gary worked as a pastor for the next 17 years in both Northern Ireland and the Republic of Ireland and was involved in both church revitalization and church planting, before moving to Brisbane to lead the team at QTC. Gary teaches Old Testament, Biblical Theology and Preaching, and preaches every Tuesday morning in college chapel. Gary has written on Deuteronomy (Now Choose Life in the NSBT series, Time and Place in Deuteronomy JSOTS 174), Prayer (Calling on the name of the Lord: A Biblical Theology of Prayer also in the NSBT series) and Preaching (Saving Eutychus, written with Phil Campbell), and contributed to several other works (New Dictionary of Biblical Theology; The Trustworthiness of God (ed. Paul Helm and Carl Trueman); Jesus Betrayed and Crucified in His Mission: Jesus in the Gospel of Luke (ed. D.A. Carson and K. Nielsen), and the ESV Men’s Devotional Bible). His volume on 1, 2 Kings in the ESV Expository Commentary will be published in October 2019, with 2 Corinthians for You to be released the following year. He is currently working on a major commentary on Deuteronomy and a book for new Christians on the Christian Life. Gary travels widely throughout Australia and beyond, seeking to encourage local churches. 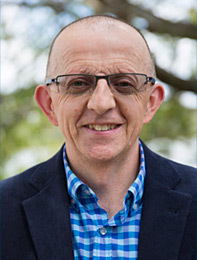 He is also the co-founder and Chair of The Gospel Coalition Australia. Gary is married to Fiona, and they have three daughters, Lucy, Sophie and Rebekah. Hear what Gary has to say about his subject areas at QTC.